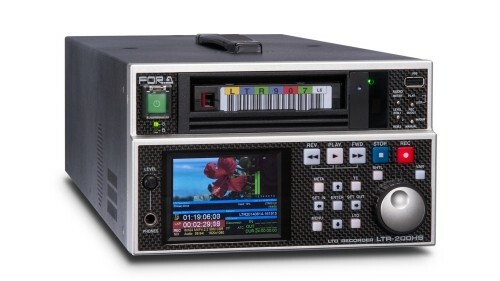 The LTR-200HS6 stand-alone video archiving recorder comes equipped with an LTO (Linear Tape Open)-6 drive and supports a wide range of file codecs. The massive Terabyte and LTFS file system recording capability of the unit allow it to be used as a material or program exchange platform. The LTR-200HS6 offers many useful features, including HD/SD-SDI input/output, broadcast quality codec, and MXF (OP-1a) wrapping and unwrapping. 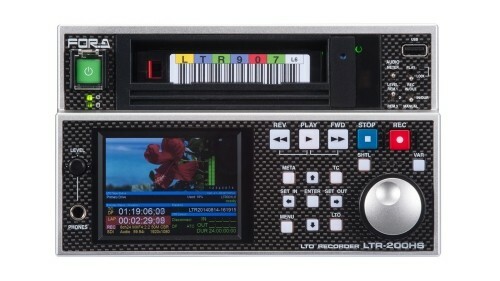 MXF files that are recorded on LTO can also be used with non-linear editing systems. 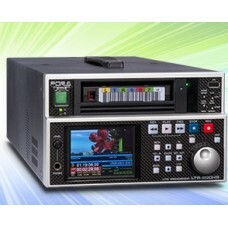 Simply connect VTRs to the LTR-200HS6 to convert HD/SD-SDI signals to MXF files. The LTR-200HS6 offers the best solution for repurposing past baseband data in filebase systems. The unit supports both AVC-Intra 100 Mbps and DNxHD 220 Mbps 10-bit compression and allows you to archive your programs at higher resolution. The maximum number of output channels varies by MXF format and bitrate. Work as FTP server. Unable to access LTO at once by multiple users. Cooling fan: Replace every 3 years. Power: Replace every 5 years. Battery: Replace every 5 years. Hard disk drive: Replace every 5 years. These recording capacities are the theoretical value excepted of ancillary data and proxy files. These might decrease depending on the condition of tape head and tape.